The colours a very good. 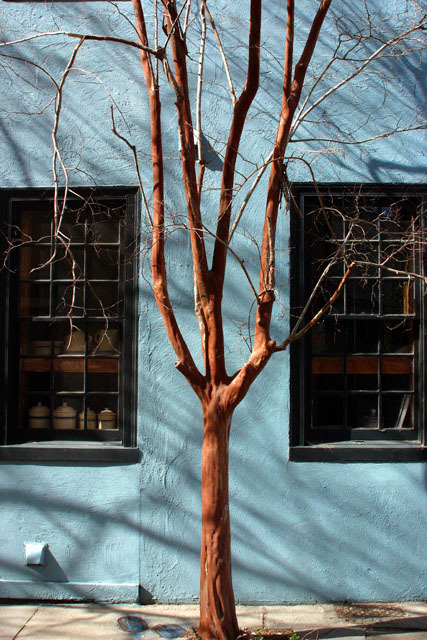 The blue of the wall and the light brown of the tree trunk seem to complement each other. I love your eye...great color contrasts! Not sure I like the cropping with the side borders right up against the windows, but I do like the pastel colors and lighting alot. Did you Neat Image this as the tree looks very soft. Proudly hosted by Sargasso Networks. Current Server Time: 04/25/2019 08:41:13 PM EDT.